Peoria, located in Peoria County is the largest city on the Illinois River and the oldest European settlement in the state. 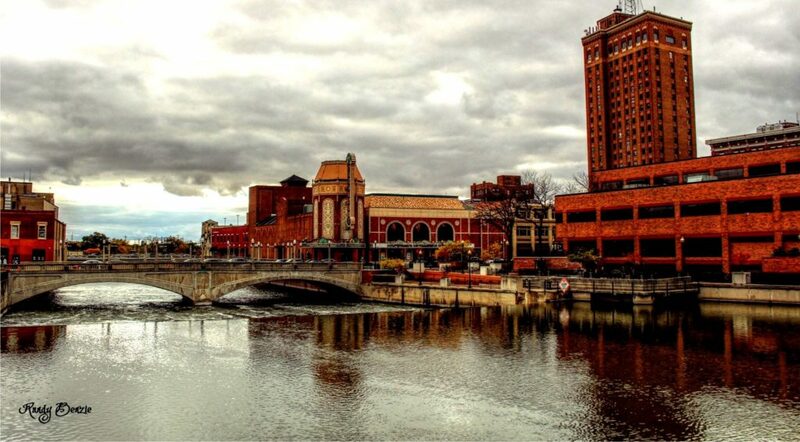 The city was named after the Peoria tribe and now has a population of 115,828. Local attractions include The Peoria Riverfront Museum, an art and science museum with a planetarium. A wonderful place to see fine arts, folk art, natural science and so much more. The Spirit of Peoria, an authentic paddlewheel-driven boat built in 1988 has 4 decks, can hold 487 passengers and is 160 feet long. It offers cruises along the Illinois and Mississippi River. If you live in Peoria, and have fallen victim to substance abuse don’t hesitate to seek treatment. There are enormous resources in at your disposal. Peoria and it’s surrounding areas are dealing with a drug crisis that the rest of America can relate to. There are several different reasons for drug crisis that America is seeing. One, big pharmaceutical companies gave the go head to doctors in the 90’s, to prescribe pain medications like Vicodin and Percocet and told them that it was not habit-forming. Now it’s 2018 and more than 2 million Americans are hooked on opioid pain pills. Two, crime is higher in today’s world than a few decades ago which can lead to more drug use as people are victimized. For Peoria, crime rates a 7 out of 100, 100 being the safest. Three, depression stats are higher now than they used to be as well. People just aren’t as happy as they used to be and too many people are trying to fix it with opioids and other drugs. Four, lack of jobs. People are having a hard time finding work and this can lead to a lot of doubt about a person’s self-worth. In 2017, there were 64 confirmed drug overdoses in Peoria, an increase from 32 in 2016. The city has some of the state’s highest statistics for overdoses deaths, sexually transmitted diseases and HIV infections. 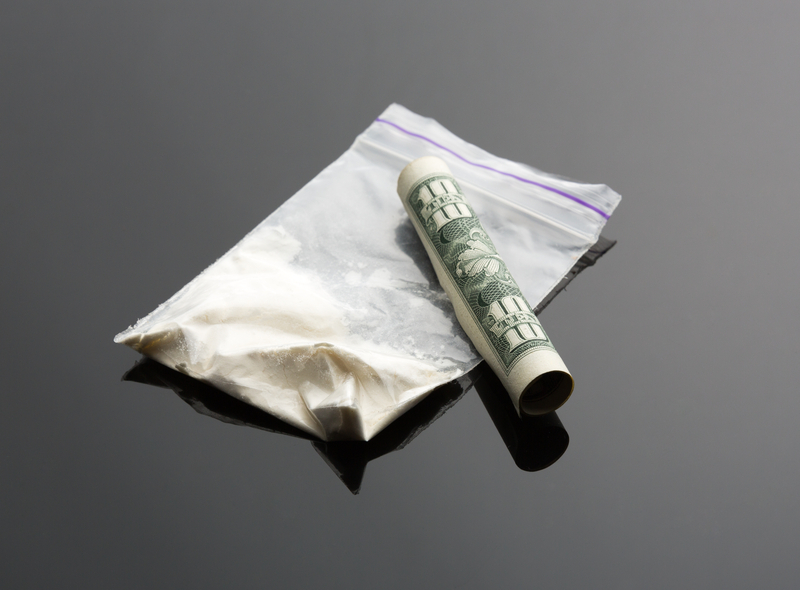 Popular drugs of choice are fentanyl, a synthetic opioid, heroin and cocaine. Fentanyl is deadlier than heroin because 30 milligrams of heroin is equivalent to 3 milligrams of fentanyl and both could kill an average-sized male. Fentanyl is 50-100 more times potent than morphine and heroin. 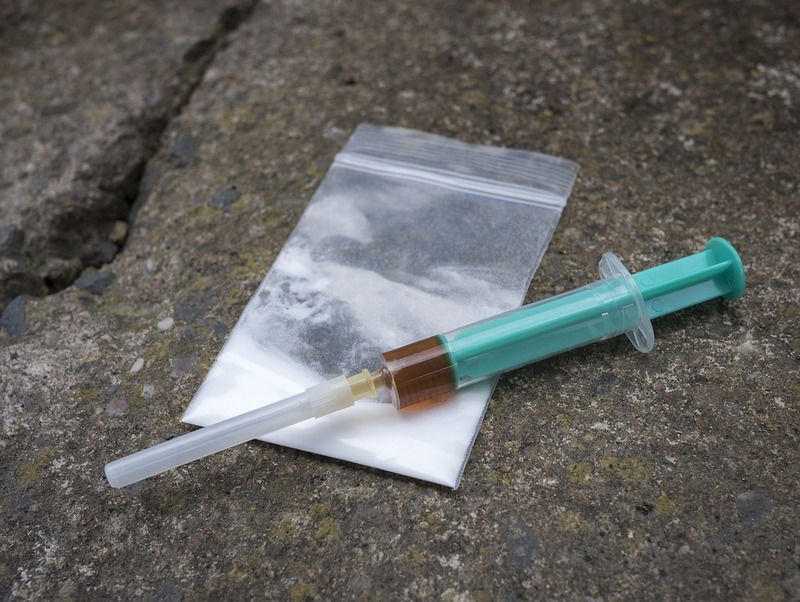 When buying heroin on the streets, drug users do not know if their heroin has been laced with fentanyl. This makes every person who does buy off the streets susceptible to a fatal overdose. Originally used as an anesthetic, fentanyl became a pain medication when doctors realized that it had pain relieving qualities. Fentanyl works by binding to the opioid receptors in the brain that cause pain and emotions. The drug spikes dopamine which produces a euphoric feeling. Overtime, a person taking fentanyl regularly will have to increase their dosage to obtain the same high since the body becomes tolerant of it. One big reason as to why fentanyl is so dangerous. Heroin, an opioid derived from morphine is a highly potent opioid. Naturally, morphine is extracted from a seed pod found in various opium poppy plants that reside in Columbia, Mexico and parts of Asia. Heroin enters the brain and binds to opioid receptors on cells that control pain, pleasure, sleeping, heart rate and breathing. While these three drugs are the most popular choice in Peoria, they are hard to come by at times. Tighter regulations on opioid pain medication has those addicted to them trying to find other options to get their high. Anti-diarrheal drugs like Imodium seem to provide an answer because they are not only easy to ingest, they are easy to obtain and work very similar to pain medications. It does take quite a bit to get high from it, about 50-300 pills a day. Sometimes 400, depending on how dependent a person is on them. Since Imodium can be bought easily at the store, it’s even more important that children and teens become aware of how dangerous even over-the-counter drugs can be. To stop drugs from taking over America completely, more education and awareness needs to be put out there so that people fully understand the dangers of them. Opioid pain medication is highly addictive, and it’s taken many lives already and researchers believe that many more lives will be taken before the war on opioid pain medication is over. Drugs have always been there, as far back as history goes, there has always been some form of drugs. People abuse them and end up overdosing on them, if they do not get the help they need. What has been happening within the past five years is unprecedented. There have been too many fatal overdoses due to opioid pain medication, heroin and fentanyl. Basically, it just boils down to death by opioids. While other drugs like cocaine and methamphetamines still hold a place on the drug score card, opioids seem to have won out. Drugs like heroin are more popular because it is very cheap, about $5 a bag on the streets. Opioid pain medication like Vicodin or Percocet can cost up to $80 a bottle. However, the pain medication is easier to find when rummaging through a medicine cabinet, which people who have a drug addiction like to do. Teens also like to rummage through medicine cabinets to see what they can find. All it takes is a teen rummaging through someone’s medicine cabinet, finding some opioid pain medication and overdosing on it for the owner of those pills to get in legal trouble for it. Not too mention, another life has been altered or worse, taken. Count it: When given a prescription for pain medication, make sure to keep a count of how many pills have been taken and how many are left. This shows whether or not someone is taking them a few at a time. Lock it Up: To make sure that no one has the option of taking drugs, lock them up. Find a safe place to keep them that others can’t find them. Teens, friends of teens and friends/family members pose a threat. Drop It Off: If there are drugs that are no longer being taken or necessary to have in the house, drop them off at one of the many drop boxes located around town. This ensures that they can be discarded safely. By flushing them down the toilet, the water supply is being contaminated and they can be easily found in the trash. Talk to Your Children- Children are starting to do things earlier than we did them as kids and drugs is no exception. Children as young as 9 years old are getting hooked on opioid pain medication. It’s important to have a discussion with your children while they are in elementary school (about the dangers of drugs, including prescriptions and over-the-counter drugs) because children and teens believe that since they are over-the-counter or prescribed that they are not dangerous. It’s important to make them aware of the fact these drugs are causing fatal overdoses and to stay away from them. Use Social Media: Social media is both a positive and negative web tool. Teens are using it to issue ridiculous challenges while also harshly judging each other. Not too mention that cyber bullying appears to be the thing to do. Remember when bullies were just at school? Now they are everywhere. While this does lead to some major negativity and depression in a lot of teens, social media can be used for the positive. Drug awareness can take life online as long as those with a large following in social media start a campaign against it. Children and teens follow the biggest trends online so it’s important to setup positive trends. Do Some Research About Drug Rehab: If you want to help someone you know who is using drugs and you don’t know how, do some research. There is so much on the internet about drugs and how they affect people. There are helpful tips about approaching different personalities about their drug use and of course, there is a lot of information devoted to drug rehab too. Drug rehab starts with identifying that there is an addiction to drugs. This happens for two people. First, it happens for the person who is abusing drugs. If a person who isn’t abusing drugs doesn’t believe they have an addiction, it can be very hard to get them to sit down and even listen let alone, talk about rehab. Resources online are available to help talk to someone about their drug addiction. Diverse personalities need to be approached differently. What one person might find very offensive, another person might understand more. Once a person has acknowledged that they do have an addiction to drugs and decide to go to rehab, it is time for the doctor to inquire about it. To do this, a doctor will take an assessment. How long has it been since last dosage? How long have drugs been used? These questions will help the doctor to decide if a patient has an addiction to drugs or not. If so, the patient will be sent to do an intake. An intake is very similar to an assessment but this time the doctor is trying to figure out what sort of treatment would be best for the patient. The doctor does this by asking a lot of detail-oriented questions, makes a diagnosis and then admits the patient into the facility. Is there anymore important drug information to relay? Was there a history of drug or alcohol addiction in the family? Are there any mental health disorders in the family? What does family health history look like? What type of social environment is the potential patient around? Married? Single? Kids? A lot of questions will be asked for each one of these questions above. It will seem a bit like an interview. After which, a patient will be given a list of non-permitted items and go through an item check to make sure that the patient does have any of those items. Non-permitted item lists change from facility to facility but these items are usually the standard ones that are not allowed. If a patient has any of these items on them, they can either be sent back home with family and friends. Now a patient will go through a physical examination where the doctor will assess the body for any injuries that may have popped up with drug use such as nose problems or lung problems (from snorting) or collapsed veins or track marks (from injecting) or many other signs and symptoms (from regular use). The doctor will also take vital signs to make sure heart rate and blood pressure look good. This is important for the detox process. After which, a urine test will be administered to check the system for drugs and financial arrangements will be made. Now that the intake process has been completed, it is time for detox. Most patients have the most anxiety over detox because of the withdrawal symptoms. While they are not fun in any capacity, the intensity of the symptoms depends highly on the type of drugs taken, how long they have been used, if alcohol was taken with the regularly and if a patient has any mental health disorders. These factors are important to consider because not every detox process is equal. Some patients may have a so-so time while others may have a very troubled detox. Detox usually lasts about 5-7 days and since the body is being cleansed of all drugs, it’s important for detox to run its full course. After which, another urine test will be administered to make sure that all drugs have left the body. Withdrawal symptoms usually start to occur between 6-12 hours after a person has taken their last dosage. However, rehab doctors usually give the patient a small dosage of prescription drugs like Methadone to help wean a patient off their drug instead of having a patient go cold-turkey. This can help lessen the withdrawal symptoms and ease the drug cravings. Symptoms usually peak around the 72-hour mark of the patients last dose (which tends to be when things get a bit rough for the patient). Some patients do not have to go through detox because they did not come into the facility with drugs in their system. For these patients, they may be recommended for inpatient or outpatient treatment after the intake is completed. However, ultimately treatment is the next step in the rehab line. The doctor will make their assessment and decide if a patient should be recommended for inpatient or outpatient treatment. Generally, after detox, a patient will be recommended to inpatient treatment for a program called Residential Treatment Center (RTC). RTC helps patients by implementing a series of different therapies to assist patients with understanding why they have an addiction to drugs. In some cases, there is an underlying cause in a person’s memory that keeps them dependent on drugs. When that cause is defined and processed, some people are done with drugs for good. Others still fight with the temptation of drugs but have at least identified the cause of addiction. Childhood issues and traumas in adolescent life are usually two reasons that people end up turning to drugs in the first place. Drugs are a way to kill any pain that was inflicted and after awhile of killing the pain, the person realizes that they can’t leave drugs behind. They are now addicted. RTC can help change that by processing through the undistorted thoughts that keep a person thinking so negatively. RTC also implements other types of therapy like music, art (painting and drawing), yoga and meditation therapy. All of these are helpful in providing a stress-releasing environment to express emotion and feelings in different ways. Some people leave rehab with a talent they didn’t even know they had before. RTC always helps patient to understand trigger points. Points in time that lead to feelings of depression, anger, anxiety or sadness that make people want to drink or use drugs, so they don’t have to feel the emotion. Trigger points are managed through coping skills like tapping, drawing, writing, dancing, singing, taking a walk, exercising or anything that really allows a person to feel stress-free and distracts the brain from wanting drugs. RTC usually lasts for 28 days on average but some patients are recommended for a longer program for up to 90 days. Some patients have a hard time staying sober after leaving rehab, in which case a doctor may recommend a much longer stay, up to 6 months for the patients who continue to relapse. Leaving rehab can be hard after a patient becomes accustomed to the structure that it provides. Some patients have a good support system to go home to, which can make it a bit easier to manage. However, some patients don’t have that support system. Sober living homes can be a helpful solution when a patient feels as if they are not ready to fly solo at being sober. Sober living houses provides patients with some structure while also residing with other residents to provide a socialization environment. Room and board usually cost about $450-$750 a month and it can be a great place to stay while trying to get back up on one’s feet after rehab. The facility can recommend some great places to choose from. PHP (Partial Hospitalization Program) and IOP (Intensive Outpatient Program) are two outpatient treatments that are usually recommended back to back after RTC. PHP is a 6 hour a day, 5-7 days a week program that helps to instill those coping skills taught in RTC and incorporates a group therapy setting so that patients can talk about how they are handling life outside rehab. IOP is a 3 hour a day, 3 days a week program that gives patients more of that group setting environment that starts to introduce a support group setting. It is a meeting that helps patients to talk about how they are managing outside of rehab and any fears or concerns they have. Aftercare is the last step in rehab, but it takes places out of rehab. Aftercare is about avoiding a relapse. Support groups and staying active are two great ways to do that. Finding a hobby and an encouraging support group can make all the difference in the world. If you or someone you know has a drug addiction, get help. Contact a rehab center to learn more information. It could very well save a life.